In order to be able to survive the Election Night coverage, I have come up with five ways to wet your whistle during what promises to be, either way, a definitive turning point for America. If the goal was to run a campaign based on falsehoods, misinformation, and general lack of reason, then the outcome would be obvious. Thankfully, it isn’t!! The goal for you, on #ElectionNight2016, is to drink 1 shot for every time Fox News predicts Trump as the winner. What better way to celebrate the lack of rhyme or reason to his campaign? This game caters to the light-weighted drinkers among us, as it requires drinking 1 shot for ever time your broadcast of choice uses footage of Trump speaking in full sentences. In fact, this might be the perfect came to invite any teetotaling friends to play as well. The amount of alcohol intake required to play this game has been decreased to 1/2 a shot, because frankly, this game could hurt even the most “experienced” imbiber. Every time debate footage shows Trump answering a question with a completely unrelated question, down the hatch. Taking our example from the Trump Lexicon, this game has us on the lookout for Nasty Women and Bad Hombres. Drink 1 shot for every time your current Election Night coverage shows supporters at a Trump rally. You know exactly what she was thinking: “Stay still, face; don’t give in.” Drink 2 shots every time Hillary Clinton is pictured from a debate staring straight into a camera while Trump speaks; you know you can feel those eyes boring into you, kind of like how your best friend’s do when she is mind-melding an inside joke with you and willing you not to laugh out loud. Drunk or not, Wednesday morning will be a very sobering day for the losing side of America. I, for one, know what side I will be on. Oh, and in case you need some inspiration…. Wild Berry Bomb: For this fun concoction, start with two parts Cascade Ice Wild Berry sparkling water. Add a splash of vodka and a handful of blueberries and strawberries. Muddle the fruit just a bit to release the flavor and serve over ice. Coconut Spritzer: Take two parts Cascade Ice Coconut sparkling water and add in one part rum, one part pineapple juice. Stir well and serve over ice in a cold glass. Decorate the rim of the glass with blue and/or red sugar crystals for a festive look! Blue Hawaiian: Start with two parts Cascade Ice Coconut Pineapple and one part Blue Curacao. 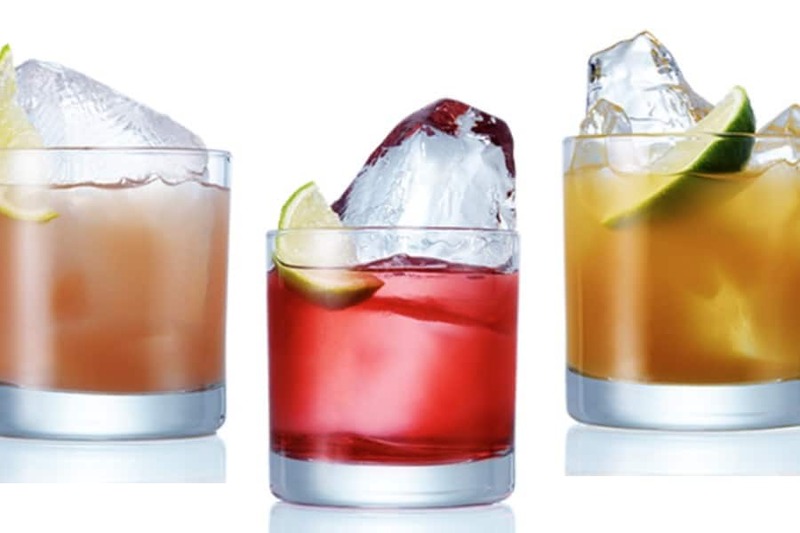 Add your choice of rum with the juice of two lime wedges. Stir and pour into a hurricane glass over ice with a cherry garnish. These cocktails will truly get you through the night on November 8th. (Or through the results in the eastern time zone at least). Recipes courtesy of Mother Jones. Shake, double strain into a glass, and top with about 1.5 ounces Fever-Tree Bitter Lemon soda. Garnish with a spring of Thai basil. Stir well over ice, pour into a cocktail glass, garnish with a small chili de arbolbalanced on the rim and a sprinkling of fresh cinnamon.